Fall River is a quaint New England city in Bristol County, Massachusetts, located just 46 miles south of Boston. It is situated on the eastern shore of Mount Hope Bay at the mouth of Taunton River. A beautiful location that has made a comfortable home for people from all walks of life. People aren't the only living creatures that are attracted to Fall River however. Pests like insects, rodents, and wildlife also call Fall River home. The pest professionals at Big Blue Bug Solutions know how important controlling pests is to protecting your home as well as your family. We take pride in providing industry-leading pest control solutions and using eco-friendly products whenever possible. Whether you are having problems with ants or mice or anything in-between Big Blue Bug Solutions can help! Living in New England means that the weather is always changing - there are warm, humid days in the summer and below freezing days in the winter. No matter what the season or temperature, it is important to remember that your Fall River home needs constant protection against pests. Mice, stink bugs, silverfish, centipedes, spiders, ants, and others may enter into your Fall River home to overwinter, to forage for food, or to seek refuge from the weather, hot or cold. Having a year-round pest control plan in place will prevent your Fall River home from being invaded by nuisance, dangerous, and/or damaging New England pests! Our Home Owner’s Policy (HOP) is a very effective residential pest control policy which provides our customers with year-round pest control services. HOP provides three visits per year from our experienced technicians, preventative treatments, on-going monitoring of susceptible areas, and the guarantee that if pests become a problem in-between our visits we will return at no charge to you. Big Blue Bug Solution’s Home Owner’s Policy makes sure that spring, summer, fall, and winter bugs and rodents are living outside, where they belong! Termites are a pest that when found out in nature are actually very helpful. That’s right; we said helpful and termite in the same sentence! Outside, termites are responsible for breaking down decaying trees and plants. Termites are often referred to as “nature’s decomposers”; as they feed on decaying trees, wood, and/or plant fibers they are helping to return vital nutrients back to the soil - promoting new tree and plant growth. The thing about termites is that the same qualities that make them helpful outside make them a very damaging pest to have invading a home or other structure. When termites move inside of a home, they invade and feed on structural wood which causes severe structural damages that can be very costly to repair. The professionals at Big Blue Bug Solutions are proud to be able to offer our Fall River customers safe, effective, and fast termite control solutions. Our highly trained termite control experts can provide you with a solution to termites that include: a thorough inspection and accurate identification of termites, effective treatment to eliminate a current infestation, recommendations of changes to make in and around your property to prevent future infestations, and our one-year termite warranty. Big Blue Bug Solutions is proud to say that we have been providing New England homes with pest control services for over 80 years. Fall River homeowners have the peace of mind that comes with knowing that we will provide only the most effective, safe, affordable, all-inclusive, and modern pest control solutions available. We are committed to keeping our customers healthy and safe and their homes and properties protected from damaging pests. At Big Blue Bug Solutions we truly believe that one bug in your home is one bug too many! In addition to year-round residential pest control services and our effective termite solutions, we offer bed bug solutions, carpenter ant solutions, pest control insulation, wildlife solutions, commercial pest control, and mosquito and tick solutions. 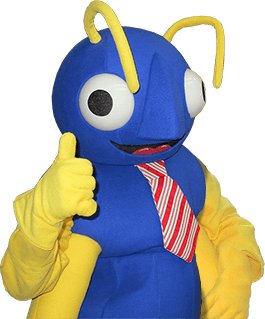 With Big Blue Bug Solutions by your side, no matter what pests may be bugging you, they won’t be for very long! Contact us today, for more information about how our pest control solutions and products can protect your Fall River home from a variety of pests!